Industrial drive wheels are used throughout industry. The applications are varied, but all involve fixing a wheel to a shaft. 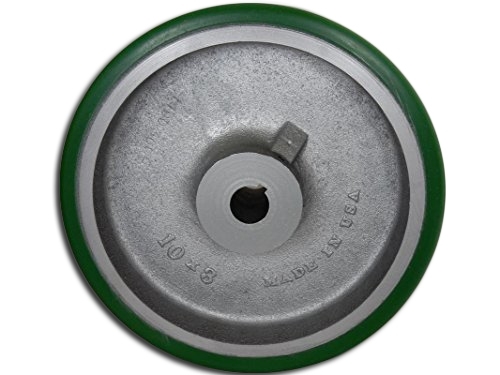 The most common means of securing a wheel to a shaft is with a key-way and/or setscrews. Other set-ups include tapered locking bushing, welding, interference fit, nuts and bolts, and cotter pins. Keyways can be machined in most wheel sizes. The wheel hub diameter must be large enough to allow 1/4” of metal between the hub outside diameter and the bottom of the keyway. Because of the extra stress involved with keyed wheels, capacity ratings should be reduced by 75% and our normal warranty does not apply. 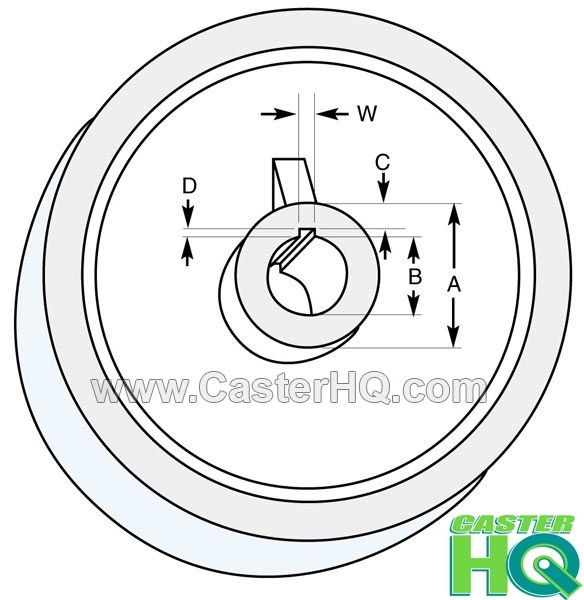 When ordering, please specify shaft size as well as the width and depth of desired keyway. The chart at right shows the standard keyway dimensions in relation to the shaft diameter. Set screws are also available. Unless otherwise specified, if one set screw is desired it will be placed over the key-way. If two, the second will be at 90° from the key-way. Due to the vast amount of Key-way Options and Wheel Sizes we Manufacture these Drive Wheels upon order. Our lead-time for all Drive Wheels regardless of quantities ordered will normally take 1-2 Weeks to ship from when the order was placed. Weight Capacity: 2,250 lbs Per Wheel (Normally 2,000 lbs in a normal Caster Application) All Drive Wheels capacities are rated at 75% of the standard capacity. All Keyed Drive Wheels are Made to Order. Our lead time usually takes around 2-3 Weeks regardless of quantity ordered.